Enjoy the benefits of a full QA department without the cost. Quality Assurance without the cost. Looking to build QA into your existing business? If your organization needs a managed center for quality assurance, we offer solutions that provide resources when required. Why pay for a full-time QA team when they are only needed for a specific project. On demand Qordev QA teams will help save your business time and money while maintaining the highest quality standards. 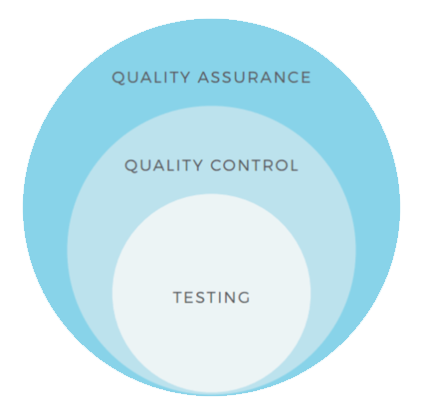 Why do I need QA? Properly implemented QA processes can improve your delivery record, reduce costs and time to market for your software project. QA services are essential in maintaining the quality of your product. We have access to the right tools, knowledge experts and test accelerators (as hosted, platform or installed software) to overcome all testing challenges faced during your product’s lifecycle. We provide a dedicated QA manager from start to finish for all projects. We understand the importance of privacy and ensure that your project is never shared outside of the QA team assigned. Every project has a dedicated project manager assigned to ensure QA is completed on time. All projects are assigned to a dedicated Quality Assurance team to ensure quality and performance. Dedicated Development teams are available at a discounted rate if needed. Optimize costs and enhance the customer experience. Technology is expanding faster then ever before. Businesses are under constant pressure to deliver innovative, high-quality services at recored speeds. To ensure you achieve your goals and stay ahead of the competition we provide effective Quality Assurance and Testing solutions that bring considerable value to your business. Enhance the overall user experience of your product by removing unknown functional bugs prior to launch. Have QOR Development test your system to ensure accurate results related to system bugs & open vulnerabilities. Find out if your business is ready for success and your systems are ready to handle the traffic. Let us find out your potential weaknesses so your customers aren't impacted. Is your system ready to scale with success? Reduce the need to rework and refactor your application in later development cycles by starting QA and performance engineering early. Better performance and a more stable product are a result of having testing as a integral part of the process. Looking to supplement you automated testing. we can help execute your testing to meet your deadlines while maintaining the highest quality standards. Using threat modeling (risk modeling) to prioritize security tests and implement industry best practices for secure coding across your entire product line. Do your application programming interfaces or web services meet expectations for functionality, reliability, performance and security? Let us help you with the overall architecture of your API's or web services. Review and offer insight into your current test processes and helps define steps for improvement. The recommendations provided during this process will increase the quality of the QA and software testing in your company.